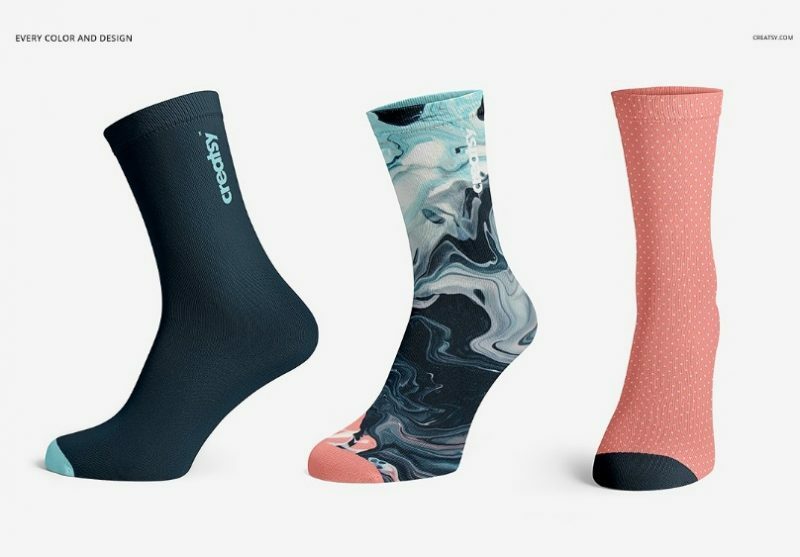 Awesome collection of socks mockup psd for apparel designing. 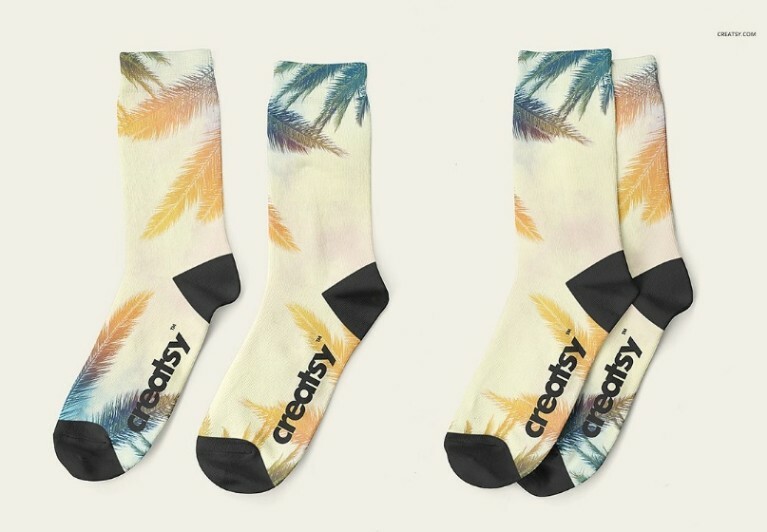 Apparel branding is very important for any brand you have to present the design on all kinds of apparel including the socks. If you are a fashion designer and working on the new design. 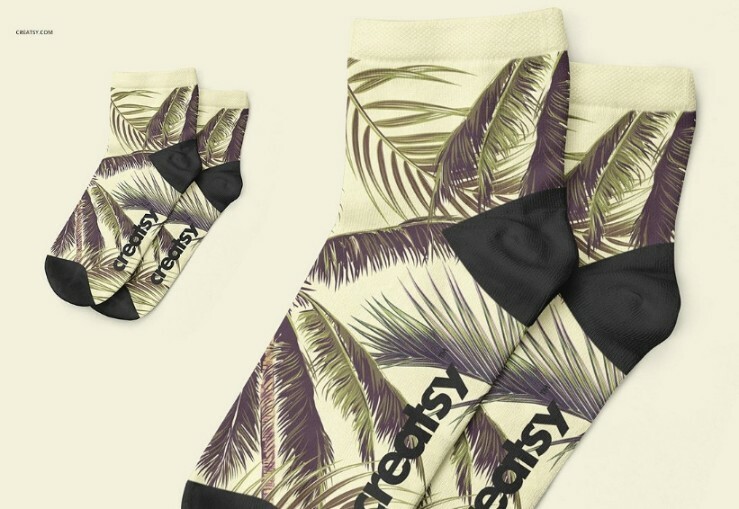 You have to place the design on the socks and show your clients how the design would look in real environment. 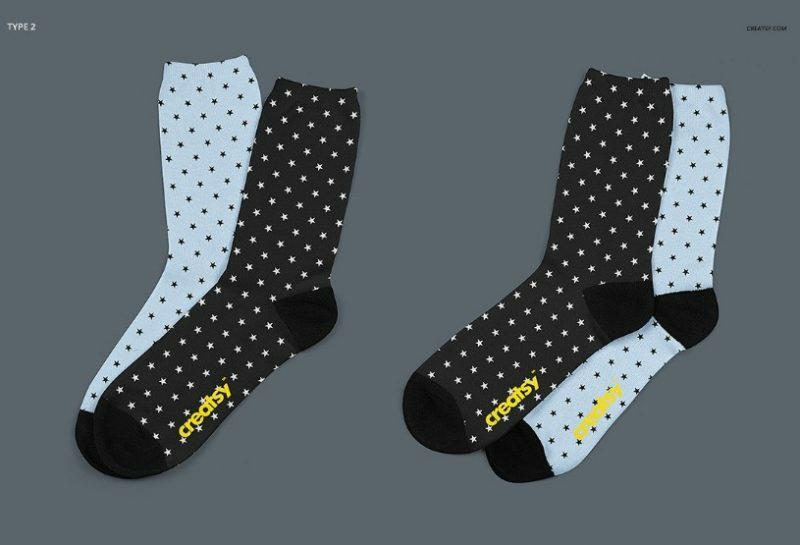 Design presentation is made easy by using the mockups, you can easily place the design on socks via smart objects. 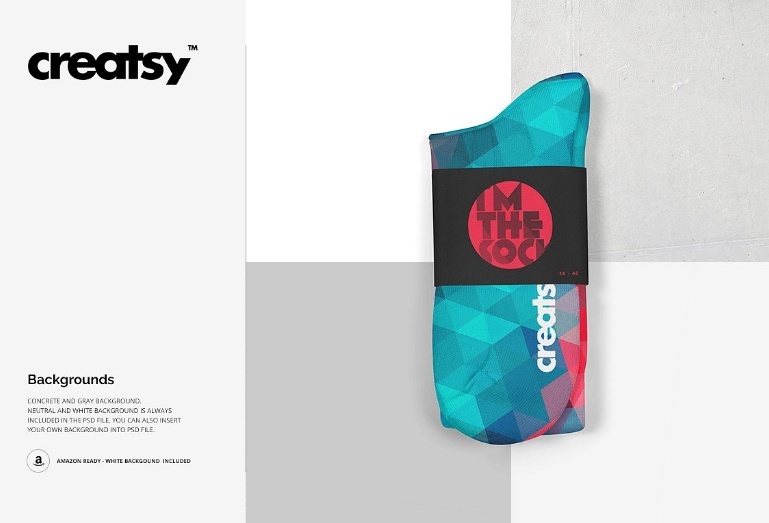 We have collected some of the best socks mockup psd for the presentation of texture, pattern and apparel design. 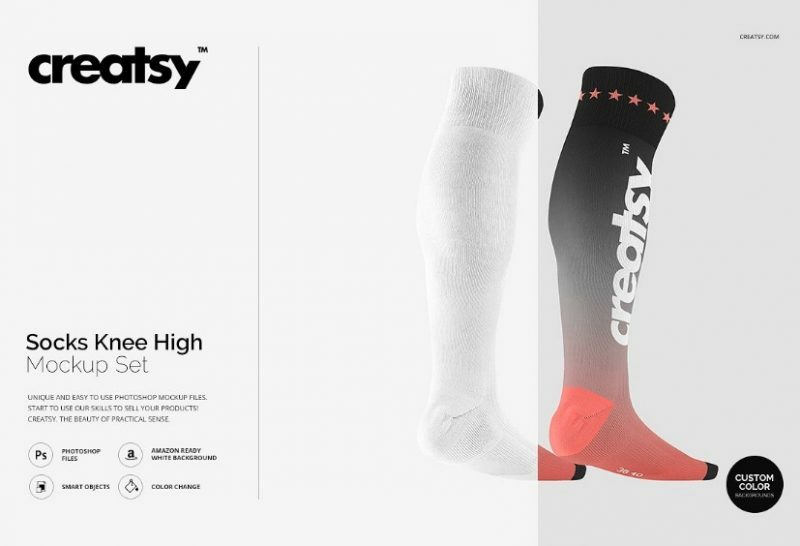 We present you knee high, no show, low cut, athletic and sublimation socks mock-up. 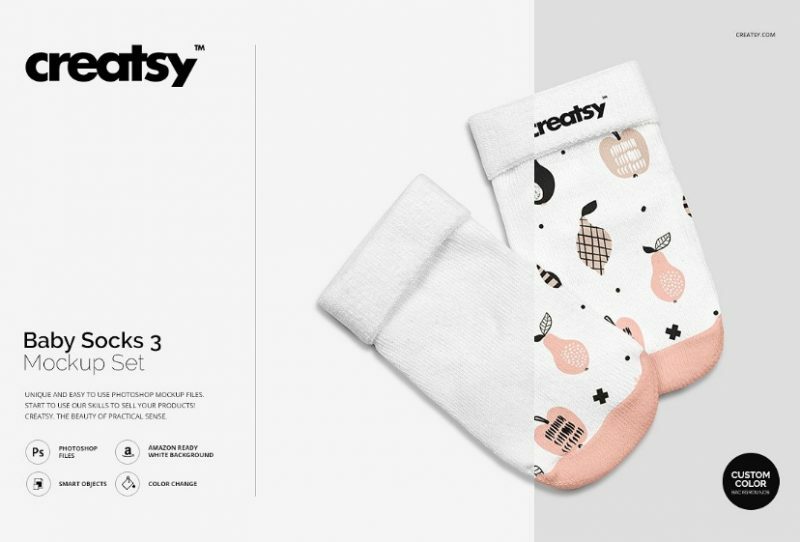 You can select the best psd file that suits your requirement and use it for your next design project. 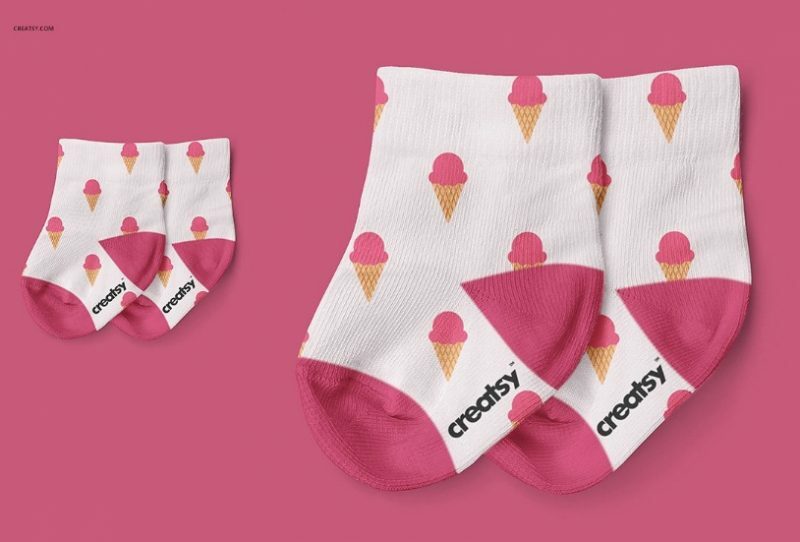 You can also find baby and kids socks designs for branding. 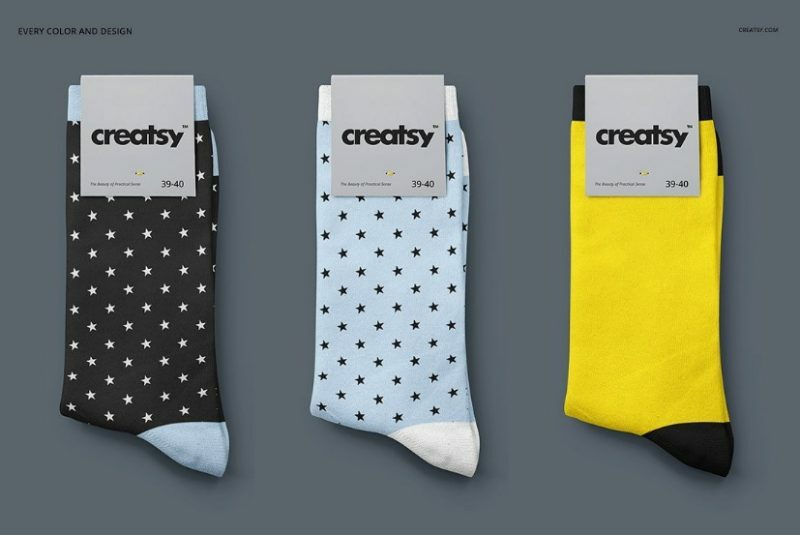 This is a set of realistic socks mock-up psd for the presentation of design and branding identity on them. 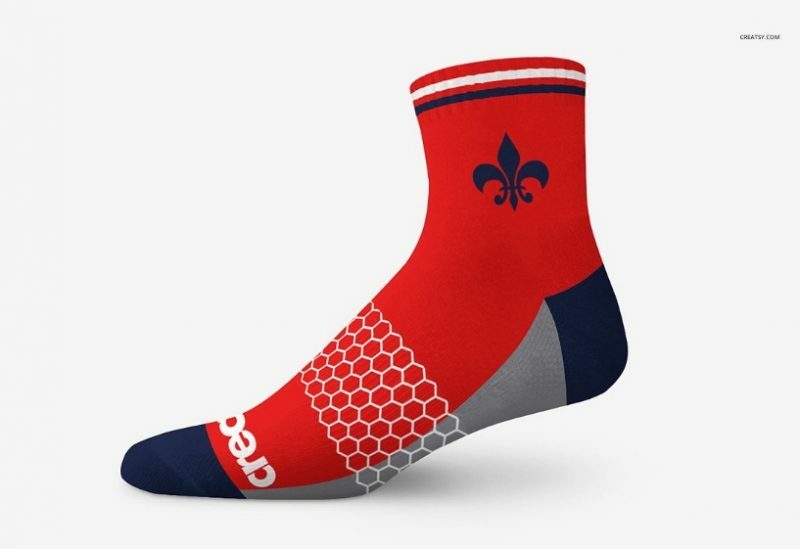 You can change the color and design on the socks via smart objects feature. The background of the file can be edited and an amazon ready background is also included in the pack. 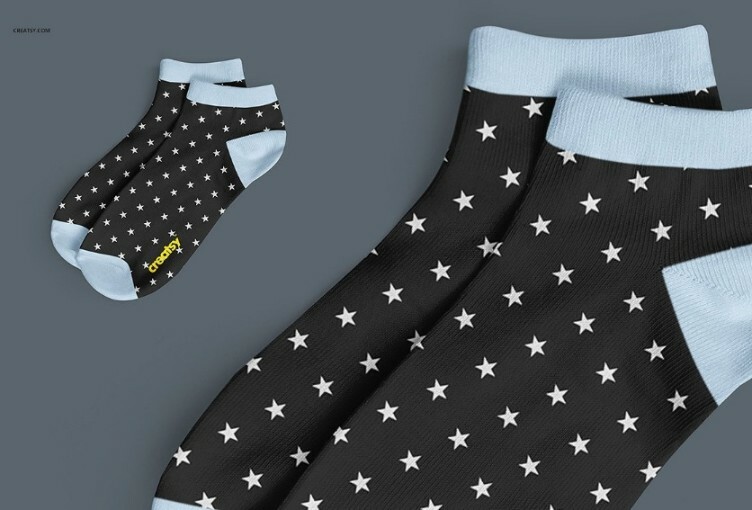 If you want to place the design on knee high socks then this file is best suitable for you. 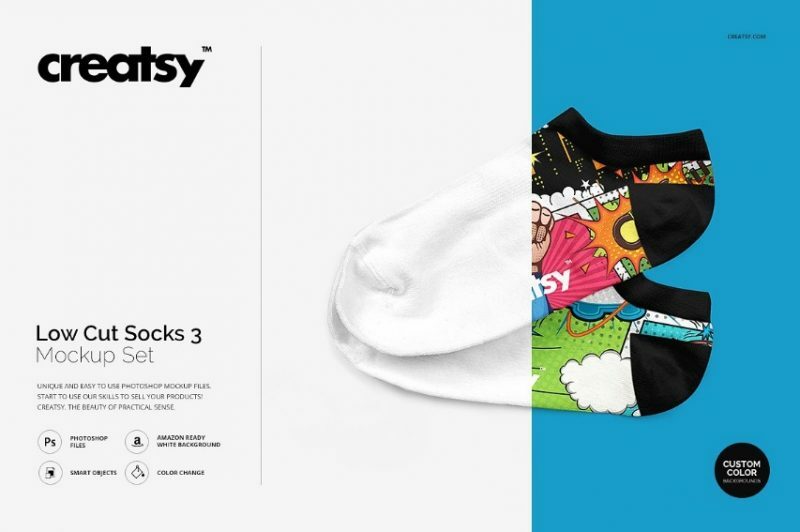 You can change the color of the socks and the design on the label easily via smart layers. Change the background of the file and use any design of your choice. 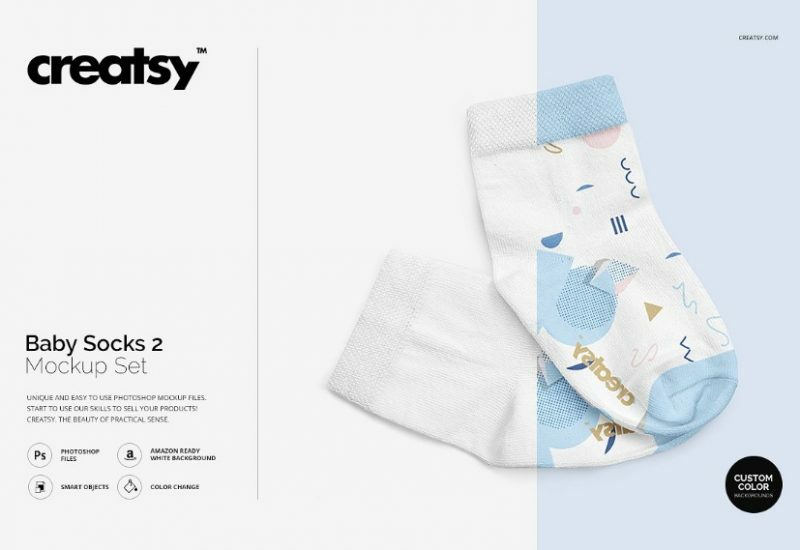 If you are looking for the baby socks mock-up psd for the presentation of apparel design of baby socks. You can present the design via smart objects and give a professional look to the design. 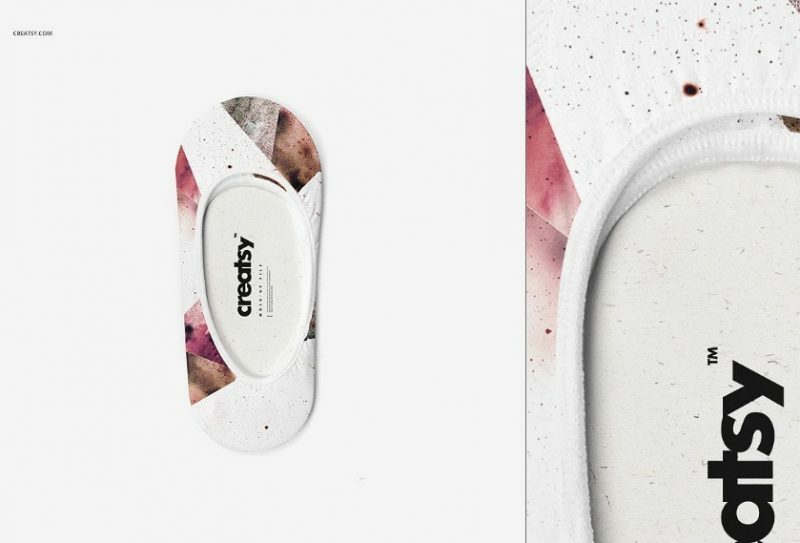 The background color of the mockup can be changed via layers. 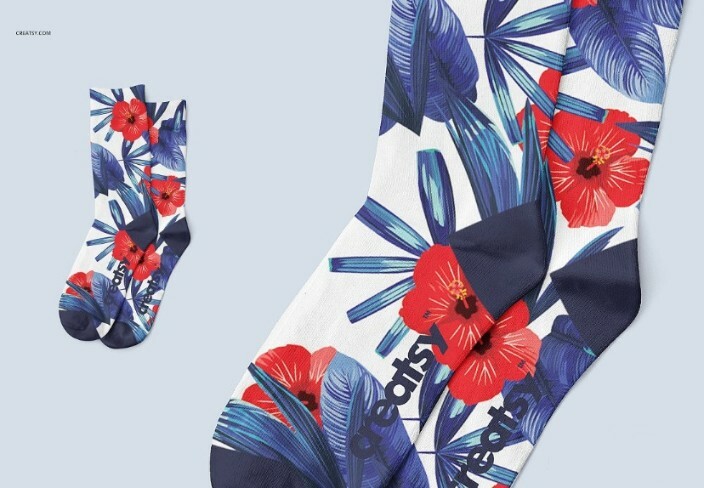 This is another professional socks mock-up psd for the presentation of the apparel design. You can showcase the design in different angles and different perspectives. You get psd files in the pack. To edit this pack you require adobe photoshop cc 2015. Make the perfect use of this file and give a outstanding presentation to your clients. You can use in your e commerce site or other marketplace. Make your presentation clean and professional.